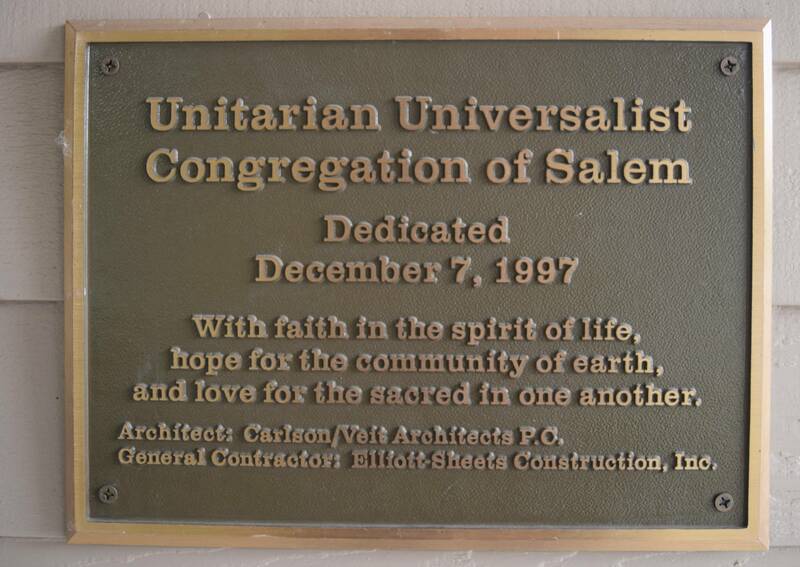 In 1889, the First Unitarian Church of Salem was organized by a group of religiously liberal individuals who gathered “to promote the objects of Public Worship, the Liberal Christian Faith, Religious Education, General Benevolence, Charity and Religious Toleration. Some years later, the congregation built the edifice which still stands on the northwest corner of Cottage and Chemeketa and continued to meet, preaching the message of liberal religion in the Salem community. Then in 1939, following a decline in membership, a financial crunch, and a rather spectacularly disastrous ministry, the flame went out, the church’s assets were sold, and the congregation disbanded. 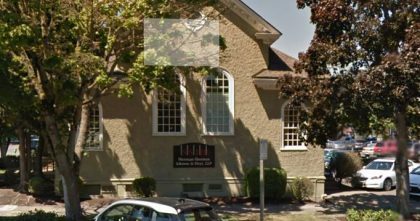 Only the Unitarian Women’s Alliance continued as an active organization in Salem. In 1949, the American Unitarian Association launched a campaign to found “fellowships”, lay-led Unitarian organizations of ten or more individuals. The Rev. Lon Ray Call came to Salem, meeting with a group of interested people in the basement of the Senator Hotel. Ten people joined what became the sixth Unitarian fellowship on the continent. Barbara Hanneman, for whom our fellowship hall is named, is the last remaining member of the original group. 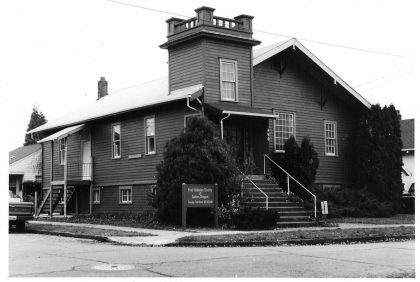 The Fellowship met at a series of locations: homes, offices, the old YWCA, the Salem Memorial Hospital Chapel, and the Salem Women’s Club. Particularly important in the early years of the Fellowship was our first president, Howard Teeple, who went on to the Chicago Theological School to become a biblical historian. Around 1955, we resituated ourselves in the present YWCA. In 1959, the building at 19th Street and Breyman was purchased with the help of an underwriting loan. The years between ’59 and ’66 were marked by much remodeling and decorating — and the full repayment of our debt. We were known as the First Unitarian Society of Salem Oregon (FUSSO). We had several temporary and part-time ministers, and one brief experience of full-time ministry, in the years after ’49. Then, in 1986, the Reverend M. Maureen Killoran came to us as an extension minister, as the Fellowship made an active decision to reach out to those who seek a liberal religious alternative. In 1991, Rev. Killoran accepted a ministerial position in North Carolina. The following year, our pulpit was filled by Ev Morris. Then, in 1992, following a recommendation from the search committee, we called Rev. 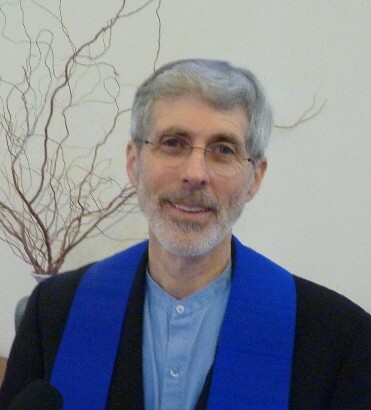 Rick Davis as our full-time minister. Also in 1992, lay leadership began a capital fund campaign to build a new, more accessible building. Though other sites were considered, we finally settled on the three acres which had been purchased over 20 years earlier in anticipation of this need, located on the SE corner of Cordon Road and Center Street in Salem. On the national level, the Unitarian and the Universalist movements combined in 1961 to form the Unitarian Universalist Association, or UUA. 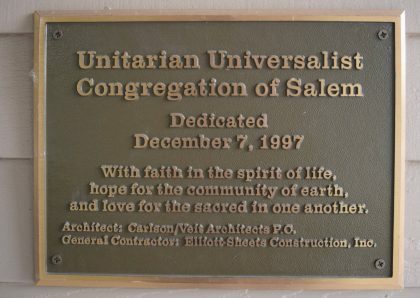 In recognition of this fact, our Congregation voted to change our name to the Unitarian Universalist Congregation of Salem, Oregon (UUCS) in 1993. After a second capital campaign, the building was finished and dedicated on December 7, 1997. A subsequent capital campaign provided the funds for a separate kitchen and fellowship hall, now known as Hanneman Hall. As of 2016 membership stands at about 250 individuals.